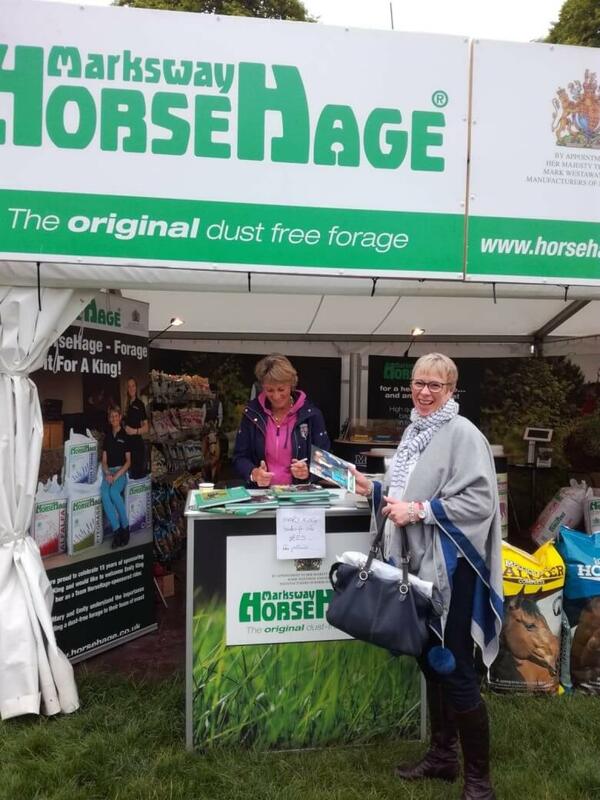 We were very pleased to welcome our sponsored rider Mary King to the HorseHage & Mollichaff tradestand at Bramham International Horse Trials in June. Mary signed copies of her book ‘My Way: How I Train for Success’ and posed for photographs with delighted visitors to the stand. The tradestand, overlooking the Equi-Trek Arena was also an excellent location from which to see another sponsored rider Emily King, Mary’s daughter, triumph in the show jumping event and win the 3 day Under 25 CCI3* National Championship. During the 4 days of the event, we also enjoyed meeting many visitors to the tradestand They were able to ask questions about feeding forage and fibre feeds, examine samples of all the HorseHage and Mollichaff products, ask about stockists and take away information brochures and samples of the feeds.